April in North Carolina is really when the flower season begins. 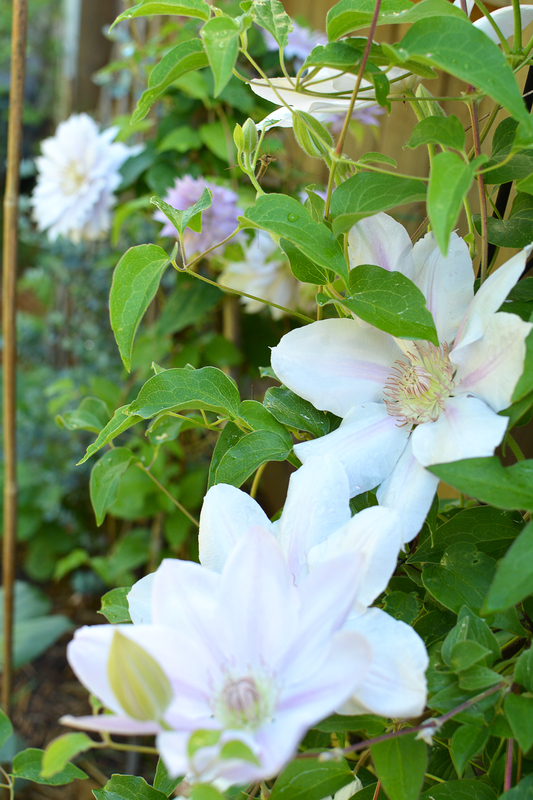 All of the cool flowers (hardy annuals) begin to bloom along with most of the bulbs and spring vines. 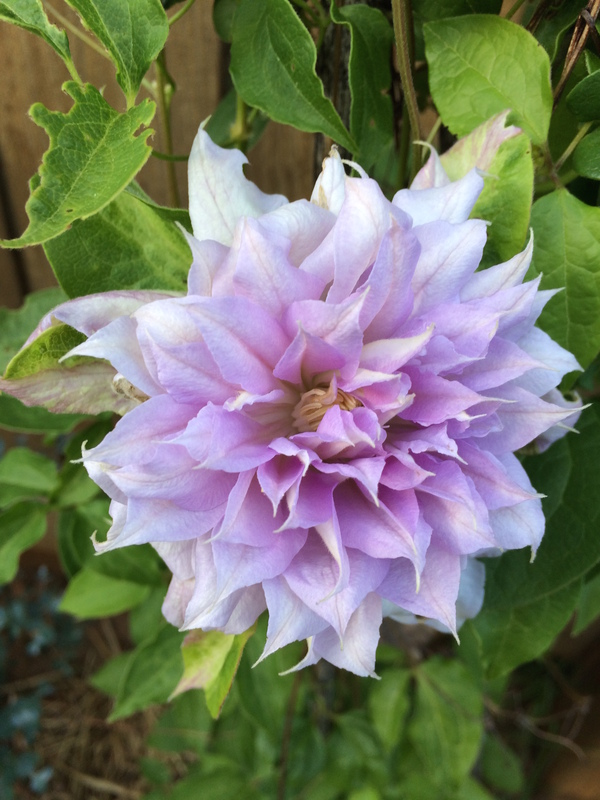 Its a riot of colors in the garden and a welcome excuse to finally be outside. 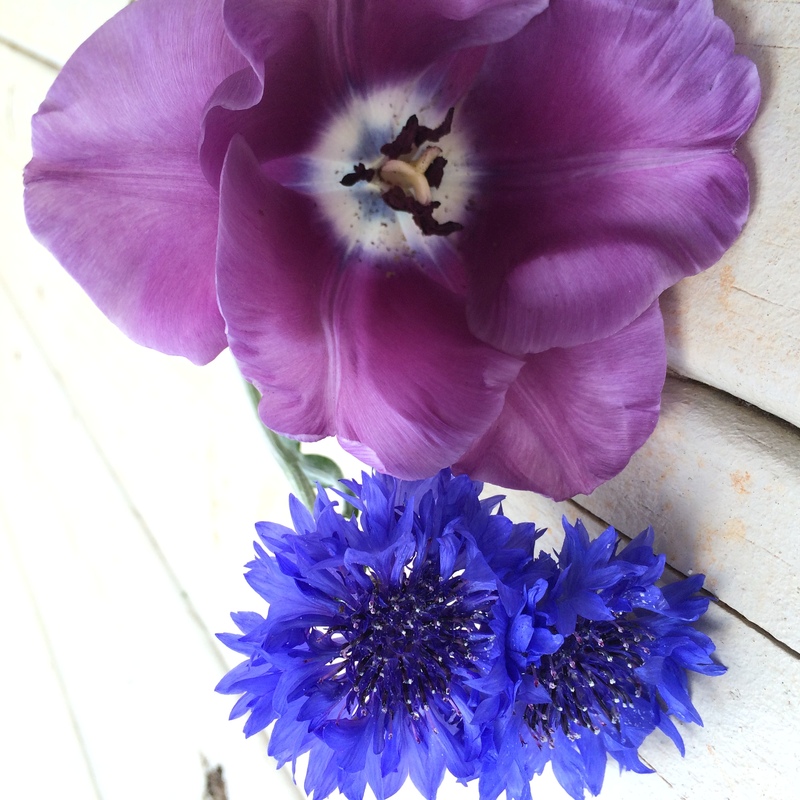 First is bachelor buttons. This is Blue Boy. 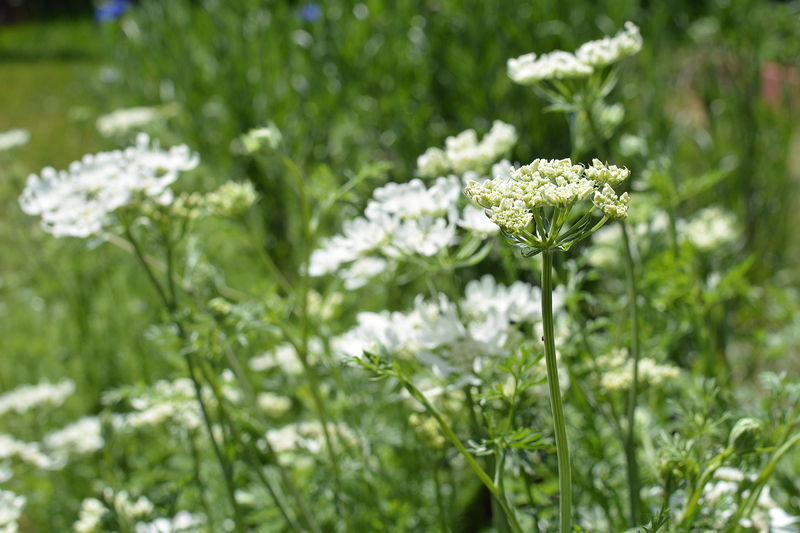 The next is orlaya (Bishops flower). 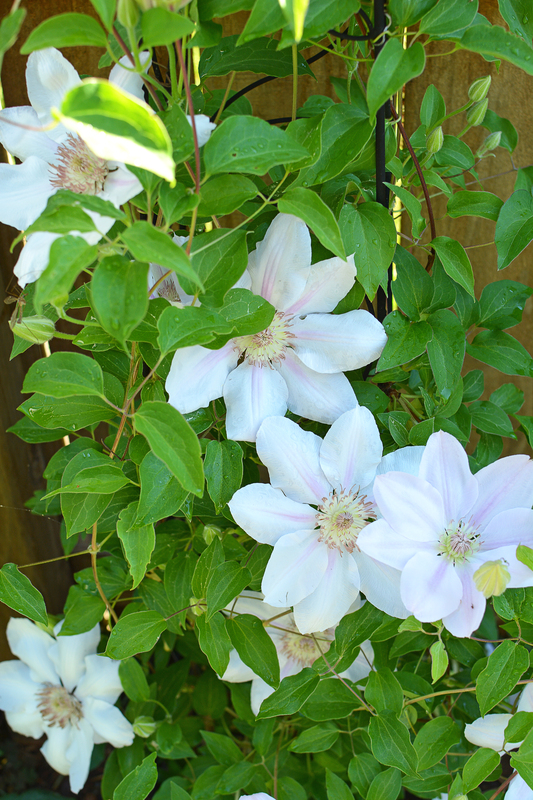 This is a great white filler for early spring. 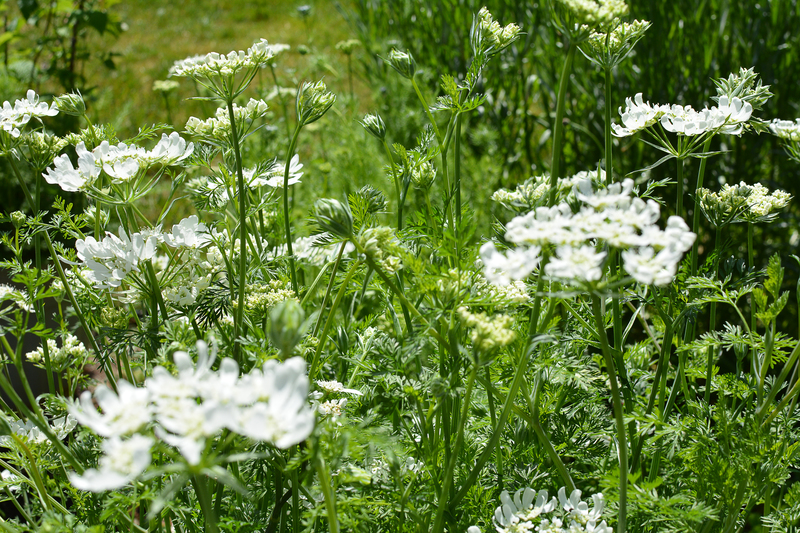 It resembles, queen anne’s lace and is a prolific reseeder coming back every year if the area it is in is left untilled. 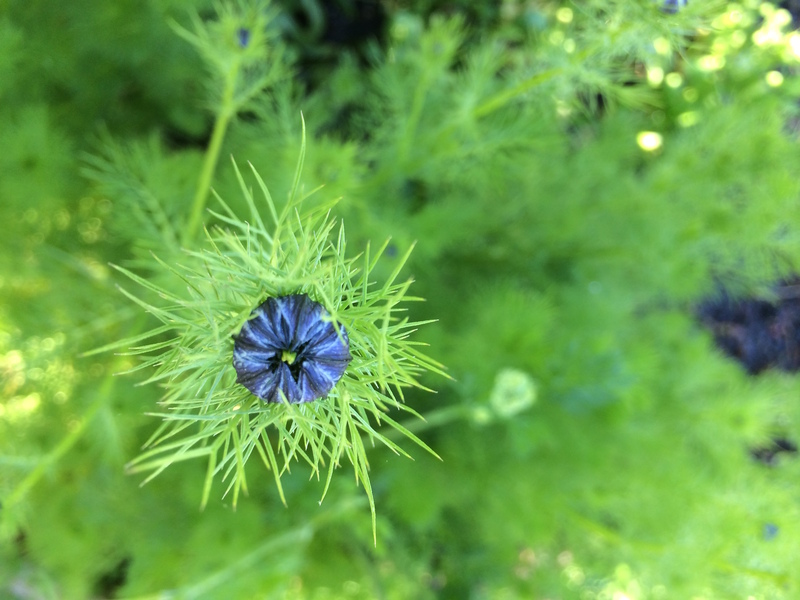 Love in a Mist or Nigella is another spring favorite. 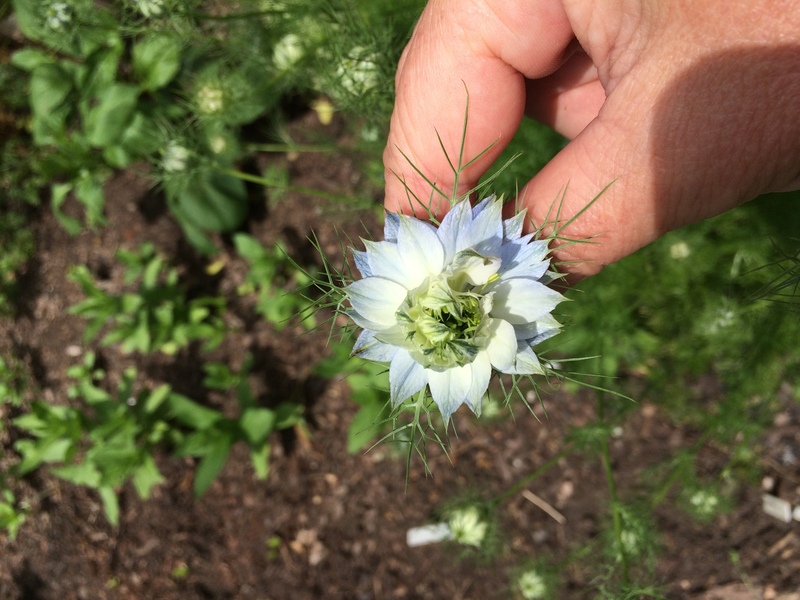 Love in a mist all has really cool pods once the petals fall off that are fun to use in arrangements. 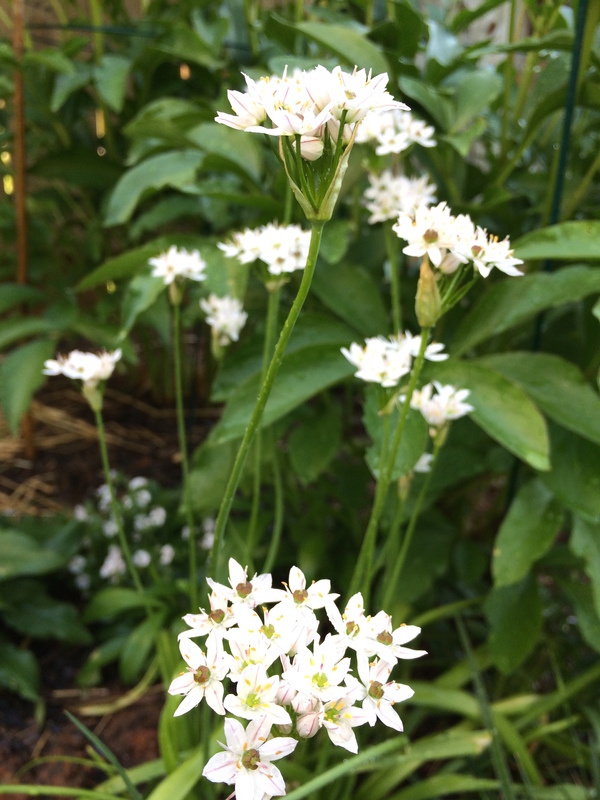 Allium: Although I love the large alliums, I seem to have the best results with the spring smaller-sized allium called Graceful. Although, they do leave your bouquet smelling like an onion, they are an adorable little addition to bouquets. 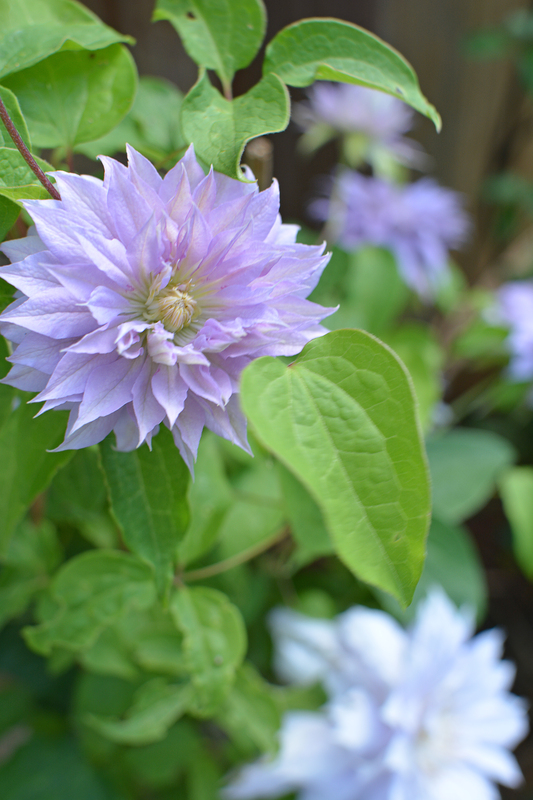 Clematis can actually be both a good spiller and a good thriller. Its a good addition when you need something to gracefully fall over the side of a vase. 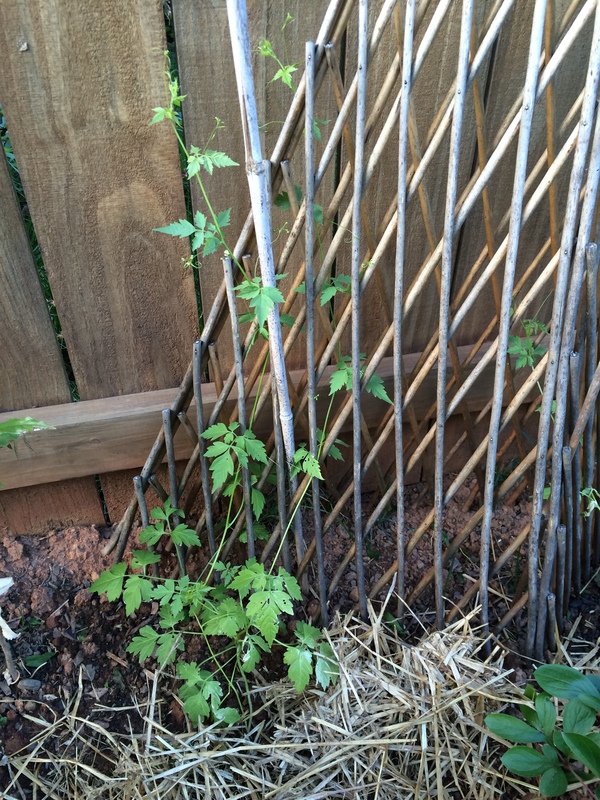 Love in a Puff is a new vine to me this year. 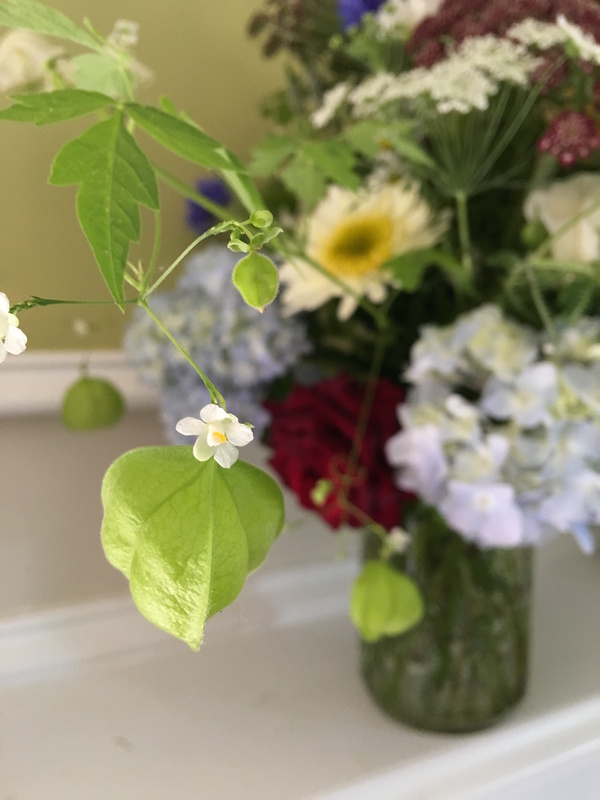 This adorable vine when it blooms has little green lantern puffs on it. When the puffs are left to dry the open to show a tiny black seed with a white heart on it. Hence the name, love in a puff.